TPG has grown rapidly over the past few years to become one of the most popular broadband service providers in Australia. With a good range of cheap, simple plans, TPG has grown a loyal customer base and recently acquired fellow broadband provider iiNet. This acquisition made TPG the second largest ISP in the country by market share – behind Telstra of course! So, what does TPG offer that makes it so popular, and how does it stack up against the competition? TPG offers ADSL2+ broadband plans in both naked and bundled form, as well as NBN plans in available locations. We’ve checked out exactly what TPG currently offers, and compared its plans to those from other service providers, in order for you to find the best deal. TPG offers a range of internet plans to suit nearly every household. There are over 20 plan configurations, consisting of ADSL, Naked DSL and NBN connections. So whether you’re a homeowner, renter, single, a couple, a sharehouse or a family, TPG likely has you covered. Most of TPG’s home broadband plans come on month to month terms or 18 month contracts, and with data ranging from 50GB all the way up to unlimited, it’s hard to find a plan that won’t suit your household’s downloading needs. The ‘tried n true’ ADSL2+ is a staple in TPG’s arsenal of broadband plans. They represent the best value for money (usually) and there are data allowances varied enough for a wide variety of households. The cheapest unlimited plan comes in at $59.99 a month and is on a 12 or 18 month contract. 18 month contracts come with a Wi-Fi router as standard, while 12 month contracts demand you BYO modem. TPG lets you pick one of these plans and one of four Voice add-ons to combine into one plan – perfect if you’re looking to save money on calls or data. Of course, none of these plans include line rental, which is an added cost. All ADSL plans also come with TPG’s IPTV service, which includes a package of TV channels for you to stream online.These channels mainly include foreign news stations, including Al Jazeera and Bloomberg News among others. So if you’re after more news than the ‘cat stuck up a tree’ local news headlines, this package could be for you. Sports channels are also said to be coming, so watch this space. There are four Naked ADSL2+ plans in the TPG suite. Available on six month or 18-month contract terms, TPG’s ADSL2+ broadband offers download speeds of up to 20Mbps, and comes with no excess data charges – TPG simply shapes your download speeds if you exceed your monthly quota. Think of the naked DSL range from TPG like a more concise, short and sweet version of its ADSL2+ plans. While you will tend to pay more per month with naked DSL, you are not subject to pesky line rental. Also, with naked DSL you can opt for a six month contract, which is great news for renters not looking at sticking around long-term. A major bonus is that the unlimited naked plan comes in at only $10 more a month compared to the ADSL2+ plan – this can work out cheaper than paying for line rental. What does TPG internet offer? TPG’s National Broadband Network coverage is subject to that of the wider rollout taking place throughout Australia. 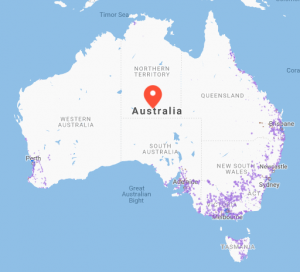 When completed in 2020, the fibre component will cover 93% of Australians, with the remaining 7% covered via a fixed wireless or satellite connection. As it stands, fibre coverage extends to most capital cities as well as major regional hubs. TPG on its website has an address checker so you can see what’s available at your place. As seen above, TPG is a full service provider, offering more than just a cheap price and unlimited data. IPTV: Is the name of TPG’s internet TV service, with streaming Al Jazeera and other news channels – this is included on most plans. Modems: Modems are often included on 18 month plans. Call Packs: TPG has a variety of call packs to choose from, including ones with calls to overseas destinations. On top of this, TPG offers top-speed NBN, unlimited data and no setup fees on 18 month contracts. TPG has also been known to include so many months of free TPG mobile plans with its internet plans. TPG offers basic NBN with unlimited data from just under $60 a month here. Basic NBN is suited to lighter users or smaller households who just need to get the basics done. TPG steps it up a notch with the Standard Plus speed tier. Unlimited data starts at just under $70 a month and the typical evening here is 46Mbps. TPG offers unlimited data here for just under $100 a month. The typical evening speed at this tier is 80.2Mbps. This speed tier would be suitable for more intensive users who need to download or upload large files or maintain multiple streams in the household. TPG has a rather large raft of support numbers to contact, with each serving a slightly different purpose. For technical support for internet and home phone, the operating hours are 8am to midnight on weekdays, 9am to 9pm on weekends and the same for any public holidays. The TPG technical support numbers are either 13 14 23 or 02 9007 2000. Beyond that there is an online enquiries system as well as an online portal through which customers can access account settings, payments, billing and more. How does TPG compare to other internet providers? However, there’s a lot more to broadband than a cheap price; often, setup fees, modem costs, lengthy contracts and more can make or break a plan. It’s worth considering if these are included in your plan and what plan is right for you. Is TPG worth the money? TPG is generally quite popular with customers and is a safe bet for many newcomers wanting fairly solid value. However, with a little digging you can find smaller providers offering more data in a lot of cases for the same price, or cheaper. TPG stands up well to the big players such as Optus and Telstra, but often falls behind others in terms of basic data-versus-price value. This is especially pronounced at the lower price points, where TPG often provides less than 100GB of data for the same price as another provider offering 500GB or more! TPG’s focus on winning customers through low prices and easy to understand plans has worked wonders for many years, and will no doubt continue to do so in the future. Its wide range of internet plans and support of both ADSL and NBN fibre technologies means TPG really does have something for everyone. TPG is a safe choice. However, you could potentially find better deals with a bit of hunting around. What do customers think about TPG NBN plans? In 2018, Australian customers gave TPG 4 out of 5 stars for Overall Customer Satisfaction for NBN plans.